The growth of the money(profit) while you remain invested is exempt from income tax (2nd Exemption) and the corpus that we withdraw (subject to limits in NPS) is also exempt from income tax (3rd Exemption). Prior to this announcement is done, NPS had a mix of EET and EEE status in India. That is, out of the final corpus, 40% has to be annuitized (that is, given to any life insurance company for pension), 40% was tax-free (EEE) and 20% was taxable as per income slab (EET, T = taxable). Now the proposal essentially makes this 20% also tax-free in the hands of NPS Subscriber. So do not get carried away with this EEE tax exemption assuming that you withdraw 100% tax-free. You can only withdraw 60% tax-free. Read Complete article to know the impact of NPS tax on you. Interest payment to be made in the case of delayed payout from the NPS Department. Now NPS is more beneficial to you because of this EEE Tax exemption? I say no because liquidity in NPS remains same as it was earlier. If you quit your job before the age of 60, then 80% of your corpus will be locked for the pension. Only 20% of the corpus you can withdraw. There is no guarantee that you can work till age 60. Your health may or may not support you .in doing so. In New Pension Scheme tax, EEE exemption is definitely a welcome move for the subscribers who are already paying Rs.50,000 per year. Now NPS subscribers will pay less tax at the end( not zero, as 40% of corpus invested in an annuity from the life insurance company is not tax- free). Do not increase your New Pension Scheme, because in the end your money will be locked in an annuity of a life insurance company(as it is mandatory). NPS completely Tax- free Now? No, you are allowed to withdraw tax -free 40% and 20% at the time of retirement. Now, it is 60% tax -free can be withdrawn at age 60 and with 40% annuity from a life insurance company must be purchased. 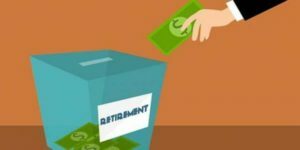 What will happen if you retire before age 60? If you retire before the age of 60 and willing to buy an annuity for 40% of the corpus. The New Pension Scheme will not allow you to do so. You have to wait until age 60. Increasing your NPS subscription, just because it has a tax break at the end is not a great idea. Investing some of your funds in annuities is a good idea. But in NPS the annuity needed to be purchased may be higher for you at the end. So, it is better to diversify your investments across other financial products mutual funds, EPF and PPF etc. Watch the Telugu video on NPS new taxation and its impact on you.